It's a one-person reverie, light-filled and carefree. In Turner's hands, white offers pristine perfection. See the way California light glances across superb minimalism, creating patterns and sculpting interior architecture — and get to know Matthew MacCaul Turner. San Francisco’s famous Nob Hill—a legendary destination in the heart of the city with views of the bay, Grace Cathedral and both bridges—has inspired leading taste-makers to opt for all-white décor. 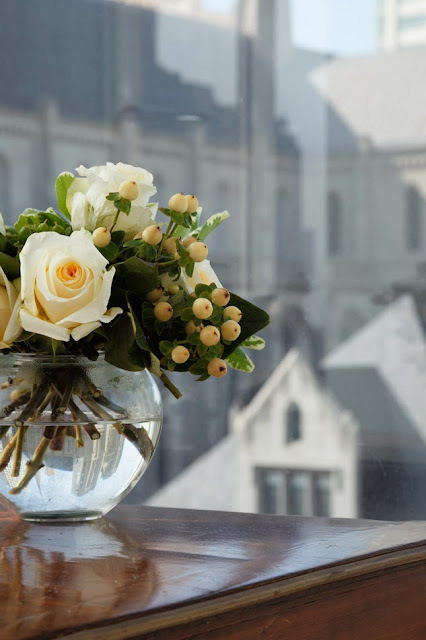 It’s a decisive, elegant, oneiric and cloud-like in its purity. There's so much going on out the window, emphasized by the dizzy height and the monochromatic lime-stone/pale stucco/brick scene-scape. White floats from floor to ceiling and everything in between. That’s the bold, uncompromising and decisive modernist move. First it was Orlando Diaz-Azcuy and Andrew Skurman, and then it was Françoise and Andrew Skurman. 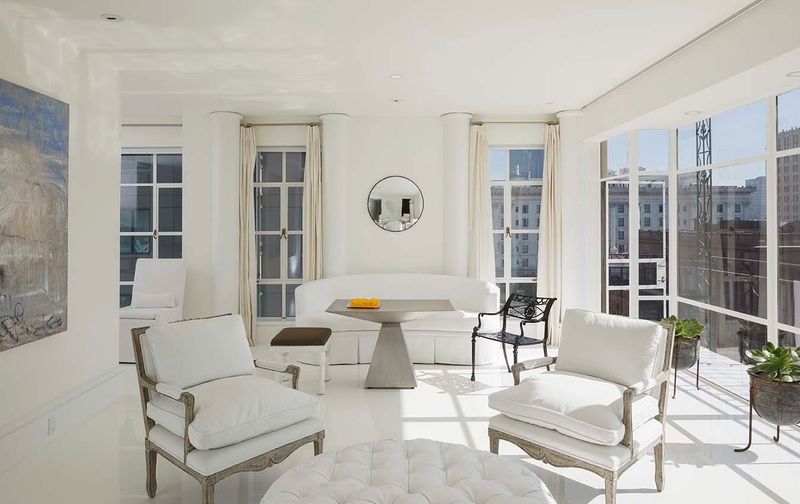 The Skurmans and their crisp and dream-like all-white apartment at the peak of Nob Hill has been one of the most popular stories on THE STYLE SALONISTE. 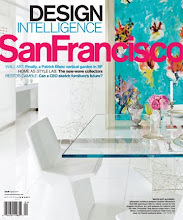 Recently I posted hairstylist Alex Chases’ all-white apartment on Nob Hill. It was a hit. If you check in my archive and search for Nob Hill you will find these two whiter-than-white apartments, both splendid. Now I have the newest chic candidate for my White Paint Club. 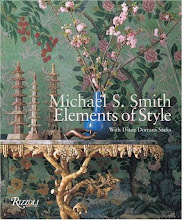 Come for a visit, learn the process, study the superb edit, and meet a fantastically talented San Francisco designer, Matthew MacCaul Turner. He’s made a list of some of his favorite places in San Francisco, for your travel list. Come with me, and float above Nob Hill, the city location of your dreams. A retired teacher and talented pianist (he plays every day) purchased this full floor high rise residence 17 years ago, confident that he had the taste and skills to update it himself. And why not? 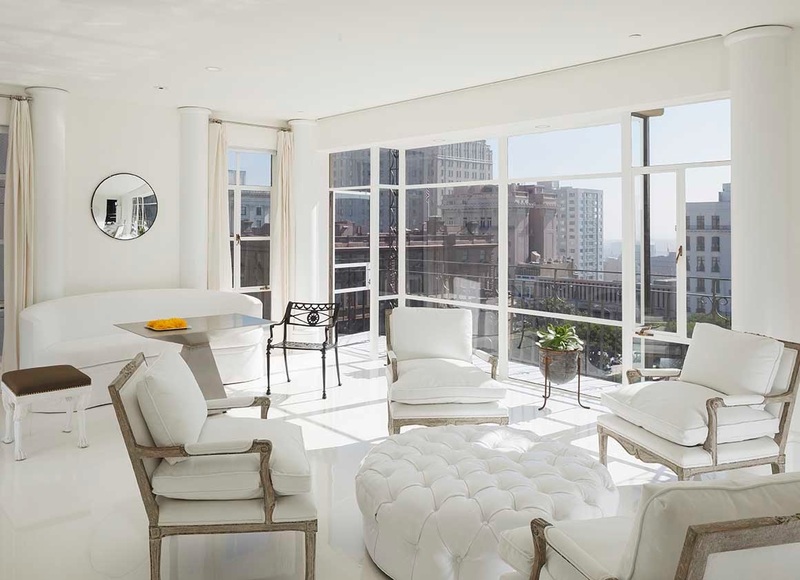 The prominent Nob Hill location sports stunning views in all directions, and has amazing glass walls, lending beautiful light to the spaces throughout. He painted the place white, laid down white wall to wall carpet, and purchased the bare minimum of furnishings. But as time went by, he was never quite satisfied. He longed for a soothing space precisely tailored to his needs. It must be up to his very high standards, yet be relaxed and sophisticated. He wanted clean lines and white minimal interiors, but he also wanted his home to feel comfortable and appropriate for entertaining. 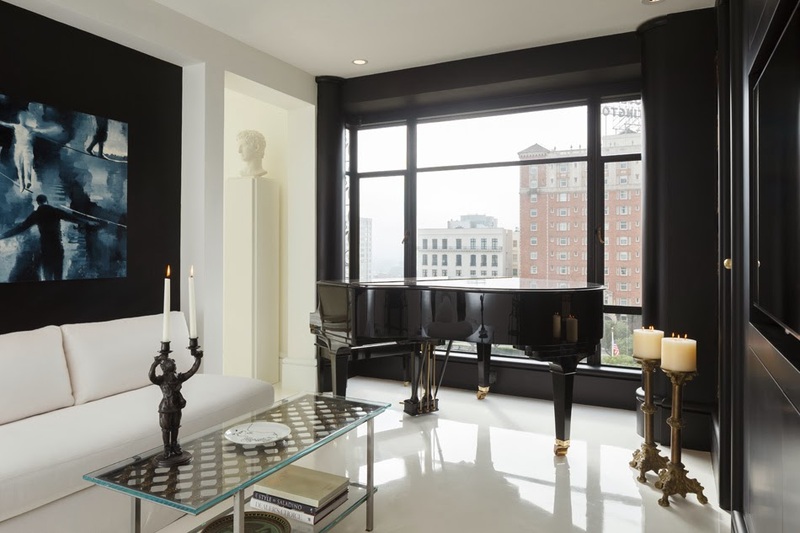 It needed to be open, and accommodate his baby grand piano that had dominated the living room for almost two decades. 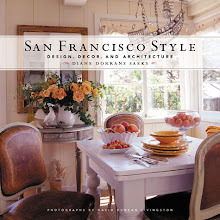 But then he met San Francisco designer, Matthew MacCaul Turner. A mutual friend put the two in touch, saying, "Just call him. Even if you don't hire him, you two will be friends." Well a friendship was immediately struck, and the two embarked on a six month redo, tossing all the furniture except for the baby grand. 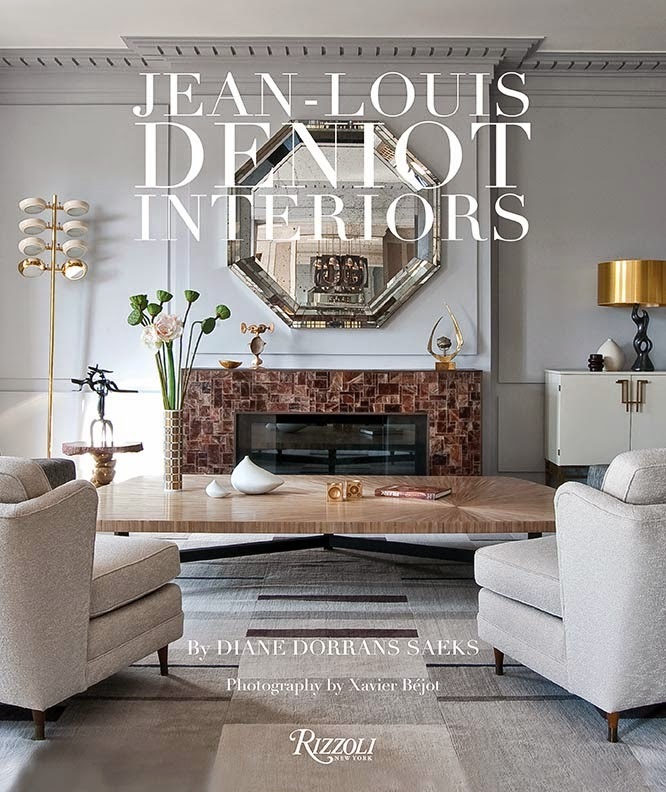 The bergeres from Minton Spidell are upholstered in "Tribeca" from Casamance, and surround a custom tufted ottoman in white faux patent leather. The stainless steel tea table and sofa were designed by Turner specifically for the space. 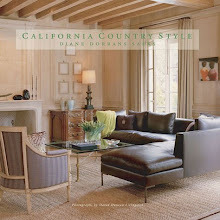 Drapery fabric is Pierre Frey "Eden", Collection Boussac in crème. An anthropomorphic stool from John Drum Antiques is covered in taupe cotton. The large abstract "Place de la Concorde" by Gina Jacupke was commissioned by Turner. The silver leaf oval by Katherine Jacobus is also a top for the tea table. 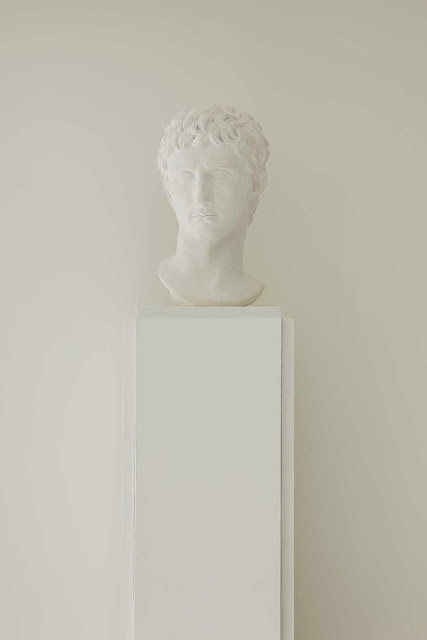 The bust of Caesar Augustus is a first generation casting from the original. The unused second bedroom was opened up to create a music/library/media room that easily handled the piano. "Why waste space on a hallway and guest bedroom when you are single, and live within blocks of so many hotels?" said Turner. Benjamin Moore's "Simply White" coated the millwork, while "Snowfall White" was used on ceilings and walls. 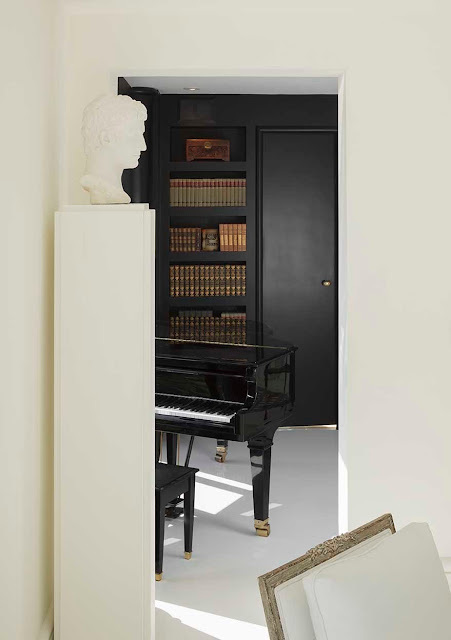 Black paint (Benjamin Moore's "Jet Black") was introduced, in sharp counterpoint with the white and to contrast and highlight the black piano. It also disguises and hides electronics (everyone has to tussle with this) and camouflages the wall mounted TV, as well as adds a satisfying and dark contrast to the California brightness. Day and night, there's a tableau vivant out the window. Yes, San Francisco is mostly super-bright and hyper-light--when it is not fuzzy or foggy or misty. Oh, happy day. Yes, California is always sunny and super-bright...when it is not fuzzy and foggy. 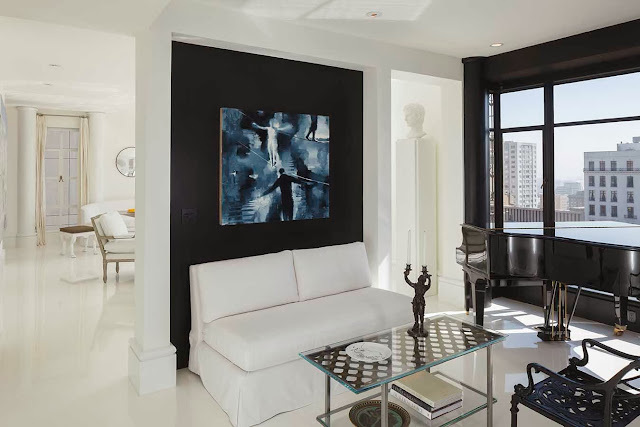 The black accent niche is painted Benjamin Moore "Jet Black", and frames Gary Ruddell's "Man on a Wire" from Dolby Chadwick. The Armless Belgian Track arm sofa from Restoration Hardware and vintage cocktail table made from an 18th century bronze grill sit opposite a vintage iron garden chair powder coated black. 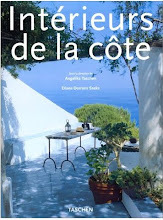 The Jean Cocteau plate is from Limoges. Carpet was replaced with high gloss epoxy resin floors, an industrial product that is nearly bulletproof. No more worries about messy guests spilling on the carpet. 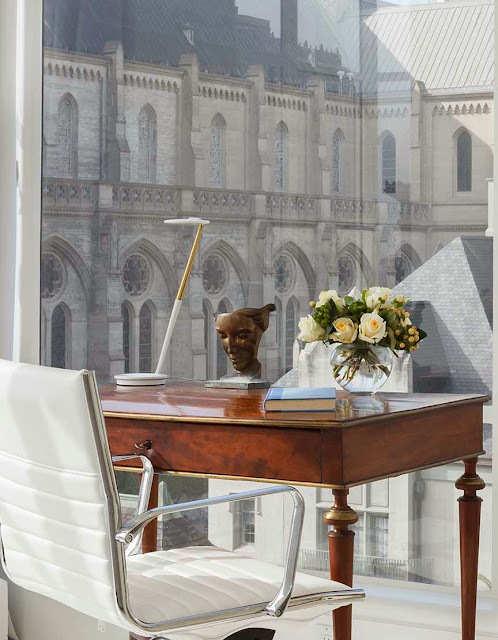 Recessed lighting and motorized shades were added to control the light and create atmosphere, while Pierre Frey's "Eden" fabric was used to make drapery at select windows, maintaining privacy and views, as well as subtly adding softness to the hard lined space. 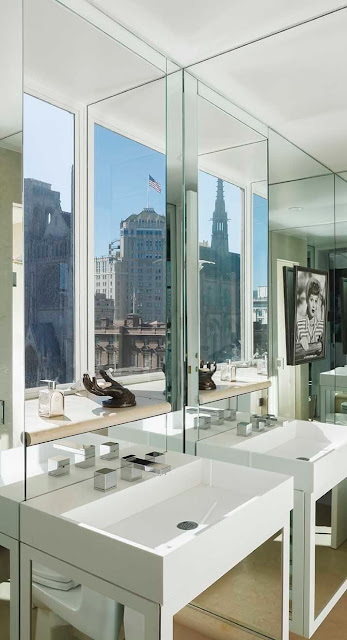 Two bathrooms were updated with mirrored walls, custom vanities and custom Corian counters and sinks. 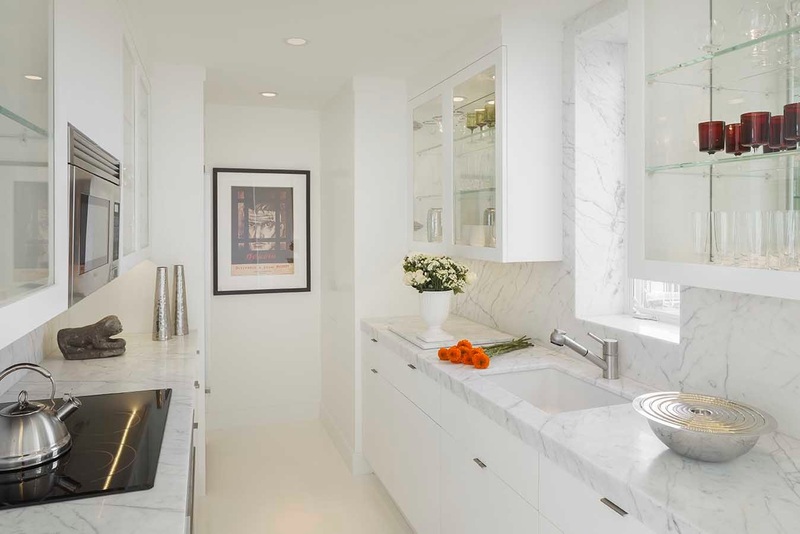 The kitchen was made symmetrical, upper cabinets converted to glass and mirror, and counters sheathed in statuary white marble. A Russian revolutionary propaganda poster anchors your view in the kitchen. 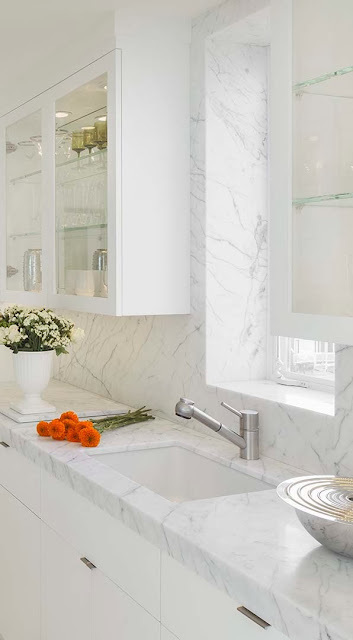 Statuary white marble counters and backsplash also wrap the window surround. Glass and mirror cabinets display cocktail accouterments. 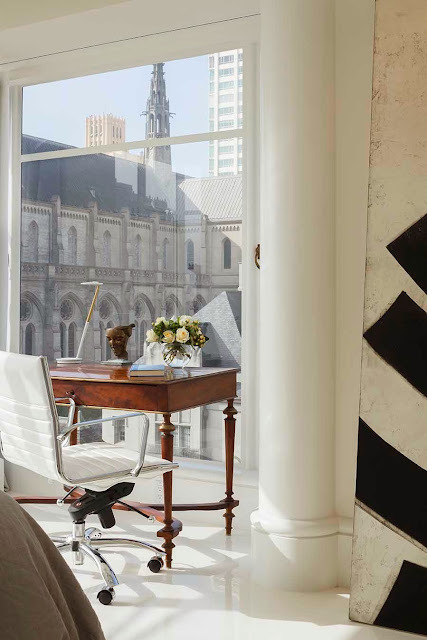 Columns that flank the windows echo the façade of the Fairmont hotel just across the park, and a hefty base molding aligns with the widow sills. It is a subtly classic detail, yet with a modern, streamlined approach. "Even designing a sleek and pared-down modern space, I call upon my training in classical architecture to correct proportions, resolve details, and lend a thoughtful and composed air to my work.” said Turner. "In the end, a space should feel current, yet timeless." 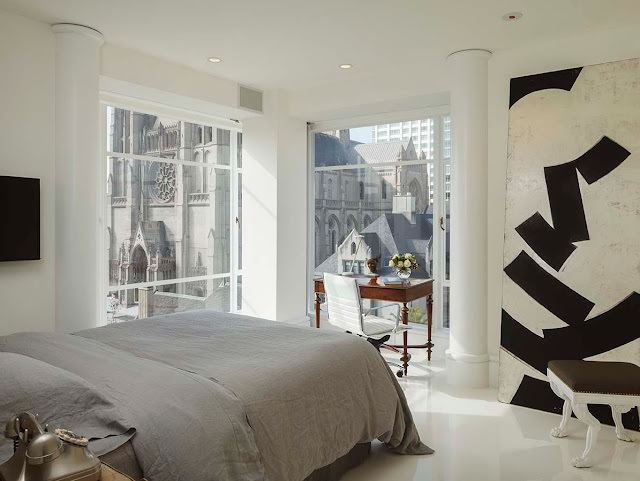 Art in the Bedroom is Charley Brown's "Black on White Abstraction #3" from Dolby Chadwick. The desk is French Directoire in style, and topped with a Frankart bronze, and the "Pixo LED table lamp" by Pablo Pardo is from Design Within Reach. 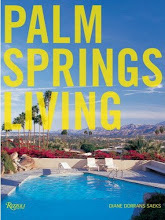 Pardo is a California designer. 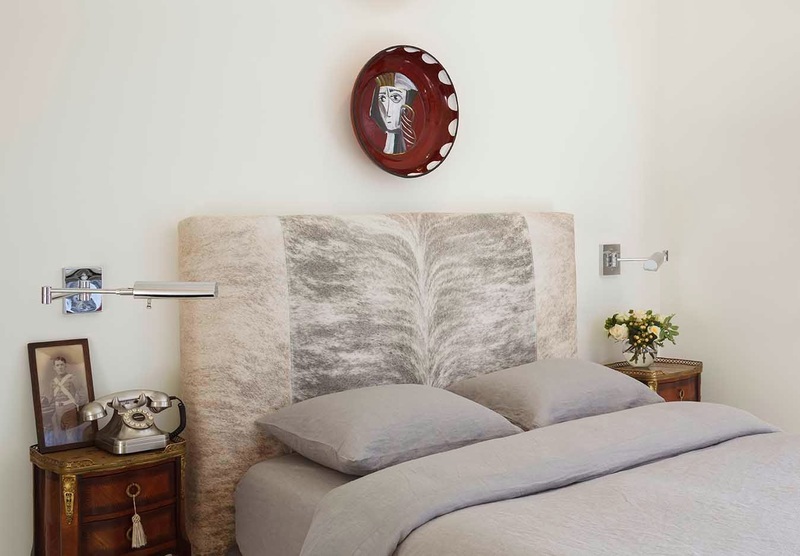 A hair on hide grey brindle headboard by MacCaul Turner Design. Circa studio swing arm sconce in polished nickel. Restoration Hardware grey linen bedding. No sooner had the dust settled, than furniture arrived. Four bergeres from Minton Spidell surround a faux-patent leather tufted ottoman. A MacCaul Turner designed sofa and tea table can also work for dining. Just lift the silver leafed oval top from the wall, place it on the tea table, and voila, dining for six! "I love looking at shelter magazines, and thought I could do this myself. I now realize that I am not a designer,” said the happy resident. "The ideas Matthew put out there pushed me to a new level. He really listened to me and expanded beyond what I had ever envisioned, making the process fun and stress free along the way. We achieve the home of my dreams." Alternating reflections of Grace Cathedral and the Mark Hopkins Hotel vie for attention in the window above a "Glacier White" Corian custom sink and a mirrored vanity. The bronze hand from A & G Merch holds soap next to a bottle of Hermes Voyage. 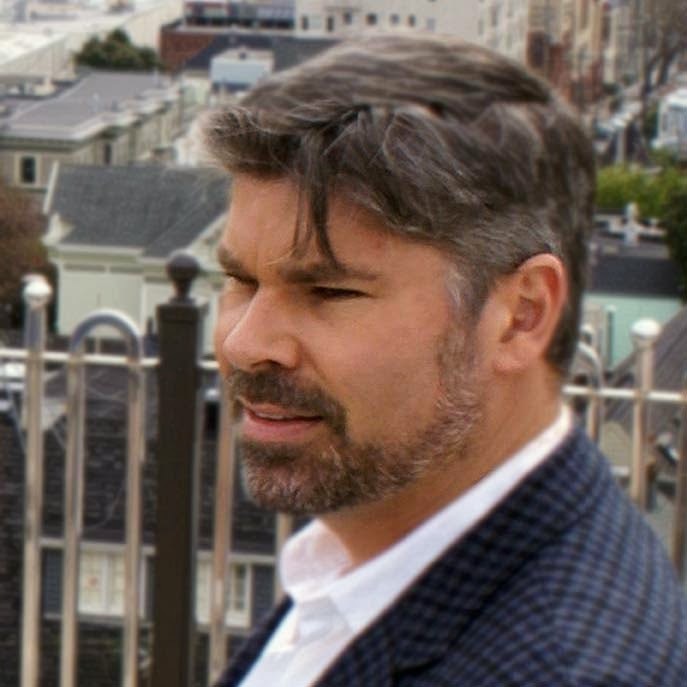 Growing up in Morris County in New Jersey, Matthew MacCaul Turner dreamed of becoming an architect from a young age. He poured over drawings, requesting Palladio's Four Books of Architecture for his ninth birthday. Schooled at Georgia Tech's College of Architecture, he spent a year abroad in Paris. The experience changed him as he reveled in the culture and architecture of Europe, travelling by rail to Barcelona, Rome, and Florence. His first job out of college changed his path. 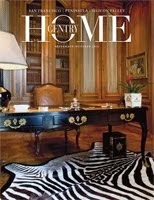 He was hired by Dilger Gibson, the Atlanta interior designers to Sir Elton John. 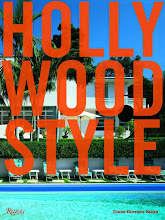 Celebrity, fashion, and big budgets converged in their practice, but it was the great care devoted to crafting beautiful and unique spaces that attracted Turner. 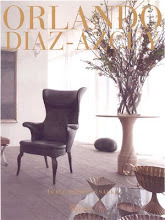 He forged a philosophy of comprehensive design, uniting the two professions of architecture and interiors. An opportunity to work at Tucker & Marks in San Francisco as the in-house architectural designer and furniture designer was the perfect position to realize his developing interest in comprehensive design. He was involved in every project, and found the firm an extraordinary place to learn. He further honed his knowledge and appreciation for craftsmanship, artistry, and the Baroque working at Fisher Weisman, until he founded his eponymous firm in 2007. 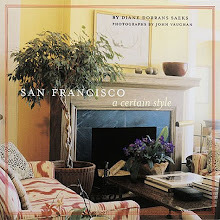 He has been featured at three San Francisco Decorator Showcases, (2008 Elevator as Haiku, 2010 Narcissus Powder Room, and 2012 The Listening Room) where he demonstrated a fresh take on classicism, with a penchant for high quality and compelling juxtapositions. "Each project, and each client, is as unique as a snowflake,” said Turner. “I don't have a signature look. It is my design principles that stay constant. I take many cues from the client, learning about their aspirations, and forging a vision that feels like it's their own. It is creative, never boring, and every job is an individual work of art." A few years ago I went on an Institute of Classical Architecture (ICA—if you’re not a member, be sure to join) tour of Montecito. We visited John Saladino in his Villa. 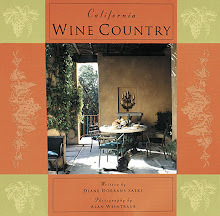 Stunning architecture, exquisite gardens, and the most beautiful interiors ever put us all in a state of awe and bliss. Not to mention that John is a hilarious and delightful host. He wrote a book about this house, ‘Villa’. I hear he has since sold it. 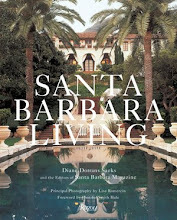 It’s also in Diane Dorrans Saeks’ book, ‘Santa Barbara Living’ (published by Rizzoli), a dream of a book, very insider. I'm looking forward to a trip to view English country houses, including Blenheim, and Belvoir Castle. At the San Francisco Fall Antiques Show each year, I’ve had the great pleasure to meet the Duchess of Rutland, Lady Henrietta Spencer Churchill, and Princess Michael of Kent, all of whom are delightful, and graciously offered tours of the Great Houses they call home. Absolutely stunning Diane! The views...ahhh! Diane, Not only is Matthew immensely talented, but he is kind and thoughtful, too. That's a winning combination that will take him far in life. How exquisite indeed, Diane. When I saw the cathedral, I thought it was the same apartment as before and came over to see what had changed! The space and decor are stunning. What a dream it must be to live there. How alive would one feel?! But I think perfection would be hearing that piano playing...perhaps the little Chopin Nocturne I am listening to right now! I love your comments...and especially I appreciate your insight into the designer and the bespoke design and interiors he finessed for his client. Best of all...he went far beyond the simple concept of all-white and gave it the drama and depth of black walls. 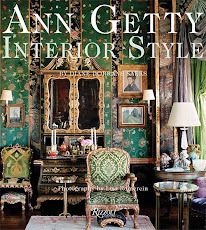 I like the insight of the owner who said..."I know what I like but I am not a designer." Congratulations to Matthew for a stunning project! The results within the limited palette are striking. The best interiors alway come from close collaboration between the client and designer where trust and respect are the foundation. This home truly speaks to that.